Connect with colleagues in restoring grassland habitats. 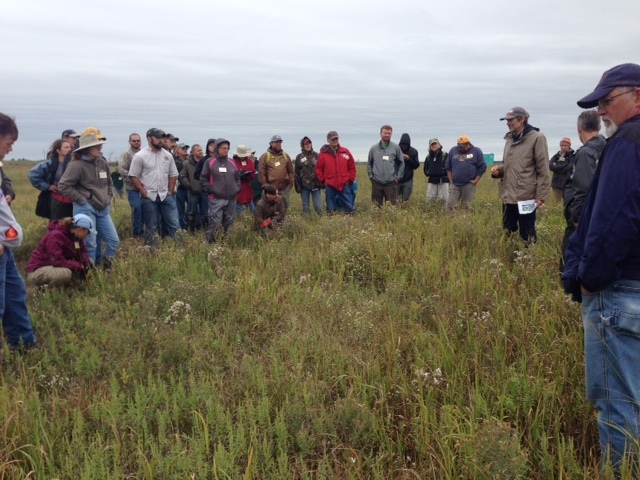 About 100 attended our recent workshop in the Platte River area of Nebraska. Thank you to Mardel Jasnowski, Chris Helzer, Bill Whitney and their peers for hosting us. For two days we were outside hiking around prairie restorations, and sharing stories of success and defeat. I went home ready for more. Our 2017 GRN workshop we think will be at Konza Biological Station in Manhattan Kansas. We are working on a date. Stay tuned. Below, Bill Whitney sharing ideas with colleagues. A great workshop. Thanks to all who worked so hard on making it successful.